Designer as Deity: There are many interpretations of what "god" may be. 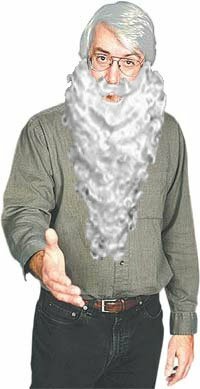 People think of god as anything from the very literal, personified man in the clouds that speaks directly to chosen prophets, to some sort of nebulous higher power that originally set the universe in motion and now sits back to watch, to some form of amorphous spiritual energy that pervades all living things. The game designer as deity inhabits that middleground godly role. He's not the watchmaker; instead, he merely creates all those individual, intricate mechanical parts, and allows the player to build his own watch, for better or worse. Obviously, Will Wright is the original, and still reigning, deity of game design. The Sim games pioneered the idea of handing the player nothing but a toolset, or a toybox, and simply allowing them to build whatever they want out of those bits and pieces. The designer as deity creates the pieces of the world; the player creates the world. "Success" or "failure" can only be measured by how successful the player is at achieving their own goals within the realm of possibilities presented by the pieces of the world that the deity creates. One player might find success in creating the richest, most powerful Sim family in their whole SimCity; another might find success in faithfully creating their own version of the most horrible, run-down trailer park ever. Some entries in the Sim series--and there have been a whole lot--rely on imposed goals, rewards, and failure states, but at their purest, deity designers present only a range of simple elemental components to the player, and allow them to decide how they will be assembled. The designer as deity doesn't impose the "how" on the player, or even the "what"--only the "what might be." It's hard to come up with other designers as deity besides Wright, though the classifaction seems like it should be more broad. The designer as deity's connection to the player is the most distant of the three roles so far, their guidance of the player the most general, almost to the point of being completely hands-off. The designer as deity says to the player, "You can build a city;" "You can forge an ecosystem;" "You can raise a family"-- and is tasked with designing the means for the player to do so. 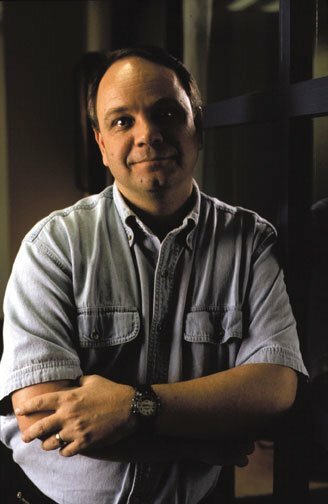 I guess then that some of Sid Meier's most successful games, like the Civilization series and Alpha Centauri, cast Meier as the deity of an extremely open political/historicak space. "You can build a civilization," or "You can rule the world" are the possibilities, and the means to do so can be arranged in an infinite number of configurations, depending on the player's whim. Just as no two SimCities are alike but are all built from the same components, no two world histories forged in a Civilization campaign are alike, but all rely on the same tech trees, races, and underlying strategies. What other grand, general concepts can be provided for players to flesh out that haven't already been covered? What domains are left for the designer as deity to oversee?